There are many hair loss products on the market. Laser combs, shampoos, and lotions are all hair loss products being advertised as the next big thing that will restore your natural hair. These hair loss products are feeding on your vulnerability to stop your hair from falling out, but they don’t work and can end up costing you a small fortune over time. And when it comes to hair loss time is of the essence. 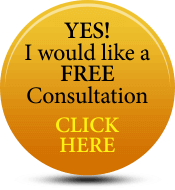 During this time you should be looking into the only proven solution which is a hair transplant and stop wasting your time on hair loss products that don’t work.